RIDI cares about its patients. We aim to restore the doctor-patient relationship and provide affordable, transparent, patient-centric quality care. That is why we offer direct care medical dermatology services. No insurances are accepted at RIDI. Because of this, there are no insurance company hassles to get in the way of receiving your medical care. You will spend more time with your board certified dermatologist without long wait times or feeling rushed. Moreover, pricing is 100% transparent. You will not receive any surprise bills in the mail after your appointment. A price list for all visits is readily available so you know what to expect before your visit. 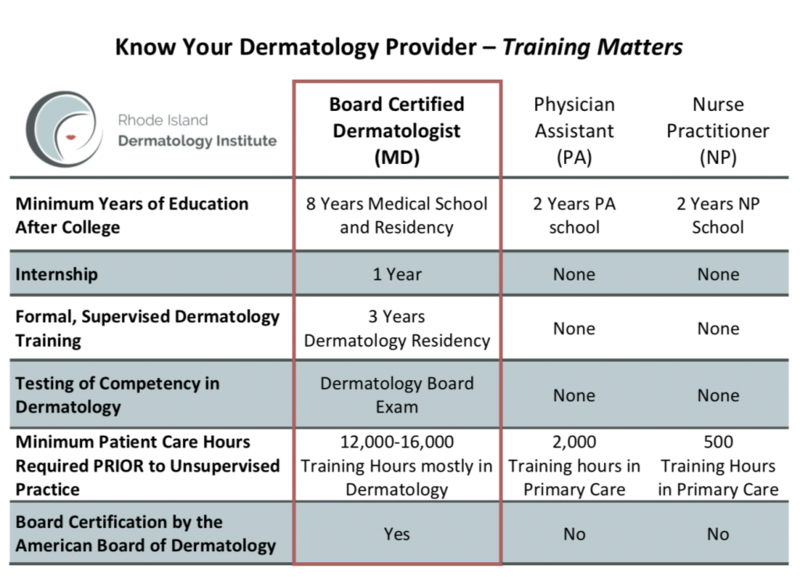 Why is it important to see a Board Certified Dermatologist? A Board Certified Dermatologist has many years of specialty training in the field of Dermatology. While there is a role for other providers in the practice of medicine, there is a difference in training level amongst different providers as detailed below. 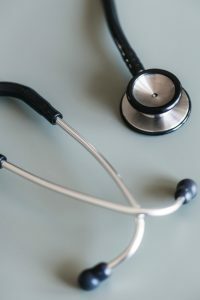 What is your typical wait time to see the doctor? At RIDI, you can expect little to no wait times for your appointments. During your office visit, you will have an extended, relaxed visit without feeling rushed. At my appointment, will I actually see the doctor? Yes! At RIDI, you will always see a board certified dermatologist. Can I still see you even if I have insurance? Yes! Even if you have insurance you can still see a direct care provider. In fact, you can use your health savings and flex spending accounts to pay for your visits. You can also use your insurance coverage to get your prescription medications. You don’t need a referral to book your visit. At RIDI, you get direct access to a Board Certified Dermatologist without the hassles of your traditional insurance plans. You can call the office to schedule or book online.